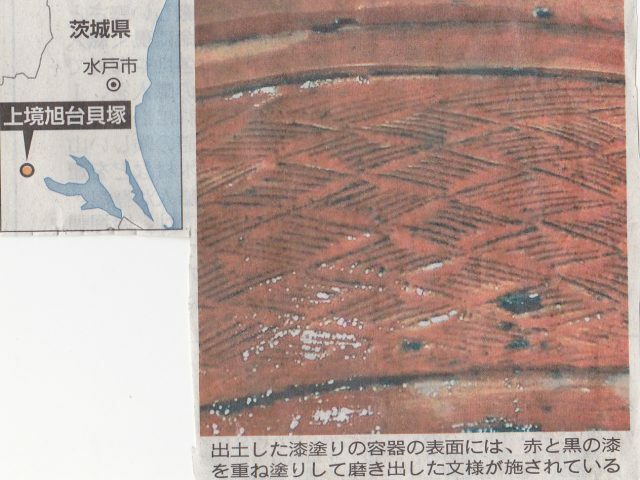 Last night, in Yomuuri News, an article says that beautiful urushi(Japanese lacquer) dimond-shaped design was depicted on the part of big vessel which was made around BC4000) . It was found in Kamisakai Asahidai Kaizuka ruins, Tsukuba City, Ibaragi. It was very minute and beautiful design with the combination of red and black urushi.